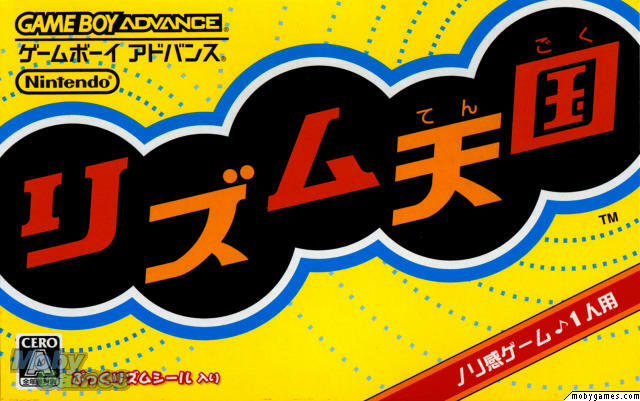 A new roommate brought, among other things, a copy of PaRappa the Rapper 2 for Playstation 2. 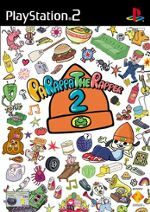 This is the sequel to the grandaddy of rhythm games, 1996's PaRappa the Rapper for PS1. As Wikipedia says, it's superficially like Simon, but you copy not only each level's rap masters button pattern, but the same pattern in time to the music. This is the most basic form of rhythm video game, but even this stripped down, you can see how PaRappa spawned a whole new genre of game. The game has a freestyling algorithm that scores you on extra presses you insert into the pattern. As long as your presses are in time and complicated enough, you can score extra points. In fact freestyling is the only way to get the maximum score for a level and attain "Cool" ranking. The algorithm is just an algorithm, though, and can seem pretty capricious in what it considers good sometimes. The really awesome part, though, is multiplayer. You don't just play the levels competitively, but you play one line from a level over and over in a virtual rap battle of oneupsmanship, taking turns freestyling more complicated patterns until the game declares a winner. The inhumanity of the algorithm really comes into play here, as not only do you have to repeat or improve on your opponent's play, but do so to please a mechanical aesthete. Here's me managing to pwn my slightly inebriated friend. This is just level one, so all the other levels have more complex patterns to play (and sentences to say). PaRappa would be a very cool game to carry around on the DS, but until then, try it out on the PS2 (and bring some friends). I'm ready any time you wanna throw down! !